For decades, Advanced Virtual Radiology, one of Southeast Michigan's premier radiology reading services, has proudly established itself as one of the most accurate centers for radiology. Our board-certified doctors have over 25 years of experience and are highly specialized in the evaluation of radiology exams and in new multi-channel CT procedures and complex reconstructions. If you're looking for trustworthy radiology reading services, you've come to the right place! Our reports are fully HIPAA-compliant, with a quick online delivery and turnaround time. We offer a convenient, hassle-free workflow that will allow us to focus on our patients. Our services include comprehensive, transcribed reports with convenient and fully HIPAA-compliant online delivery. Our specialized team consists of board certified radiologists who ensure only the highest quality reading services, at all levels. Our cost-effective reading services are extremely efficient, and our responses are prompt and accurate. At Advanced Virtual Radiology, reports are prepared at a fast turnaround time, and our patients have access to a network of highly specialized radiologists right when they need them. Whether your needs include primary or over-reads, our radiologists will provide you with exceptional diagnostic solutions and rapid report turnaround. 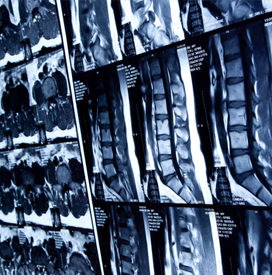 Our radiologists are trained to provide readings across all modalities, from CT's to MRI's, and more. We understand that accurate radiology reading services are critical to patient care, whether it's an emergency or routine screening. At Advanced Virtual Radiology, our team always provides our patients with high-quality solutions and we work closely together to ensure we provide the most best level of diagnostic interpretation expertise, regardless of where you are located. For high-quality radiology services for clients in Southfield or across the states, our team at Advanced Virtual Radiology strive to achieve the highest standards in patient care and readings. Call us today at 248-894-8019 today!